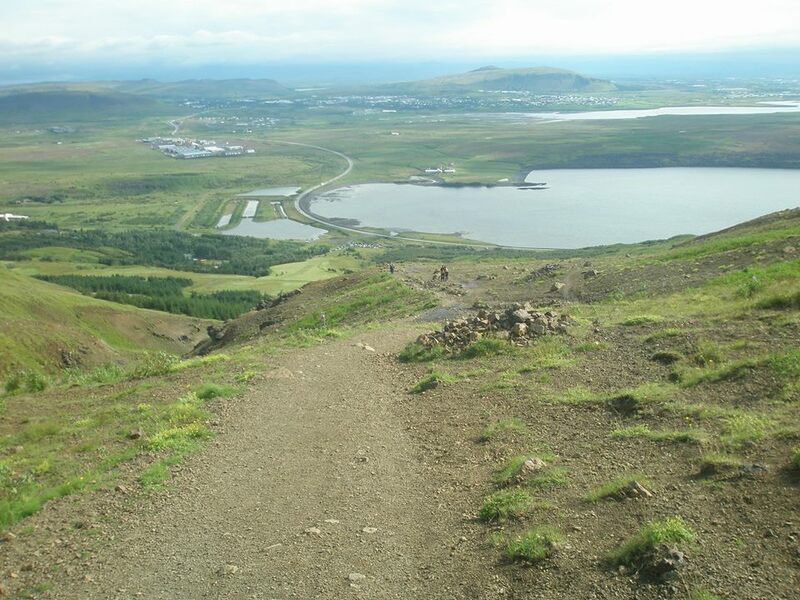 Mt Esja is one of Iceland‘s favourite hiking spots. 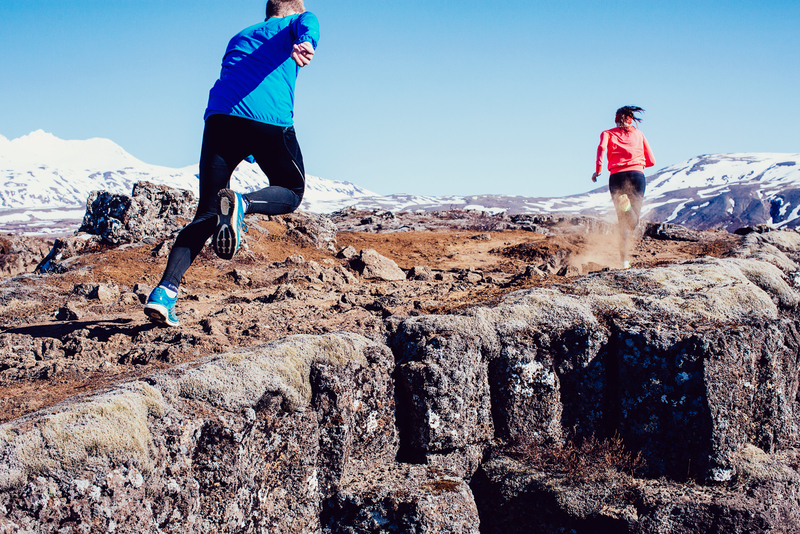 People of all ages and abilities enjoying the nature on Reykjavik’s doorsteps, and runners use it a lot for training. The trail is well marked and easy to follow. There is always quite a few people on Esja if the weather is reasonable, especially in the summer. Mt Esja is also the venue for the Mt Esja Ultra Race which has just announced a new website and new exciting details about this years edition. More about that later ! We went to Esja last weekend for the first time this year, not knowing what to expect or how far up we could safely go. From below there seemed to be a fair amount of snow on the the mountain so hiking boots were our choice rather than running shoes. The hike to “Steinn” and back is just over 6km. Usually we walk all the way up and run back down, but this time we skipped the running altogether due to the mud and snow. The weather was fine but as usual it got windier when we got higher up the mountain. As it turned out the trail was wet and muddy and there was snow on parts of it but it was not difficult to get to Steinn, 200m below the top. We didn’t bring the camera so the pictures here are from last summer. It turned out to be a very good day on Esja. We were very happy to have made it to Steinn without any worries and look forward to more outings. The weather is unpredictable though so it will probably snow more in Esja before spring really sets in !